RIHIDs started off over 10 years ago by installing simple plug in hid kits, while this no longer remains a part of our day to day operations we have shifted focus as the market changed. 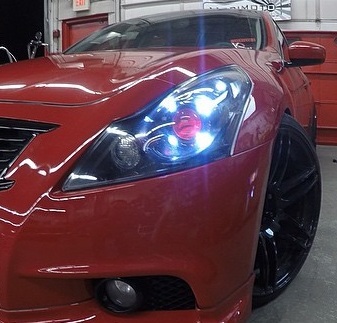 Today custom automotive lighting and innovative headlight design is bigger than ever. We strive to bring our customers the latest in products and designs. While working aside some of the top manufactures in the business this has become possible. RIHIDS is an authorized retailer and installer for the following name brands: Morimoto (The Retrofit Source), Diode Dynamics, LED Concepts, Umnitza, EXLED, and more. Contact us today to see how RIHIDs can bring your lighting dreams to life.